You will stroll through vivid exhibits and experience Omaha’s Union Station first-hand! Beautiful architecture blends with memories of a time gone by at The Durham Museum. Making its home in one of Omaha’s most unique treasures, Union Station, The Durham Museum offers a fascinating look at the history of the region, and offers a broad-range of traveling exhibits covering subjects ranging from history and culture, to science, industry and more through affiliations with the Smithsonian Institution and strong ties with the Library of Congress, National Archives and the Field Museum. 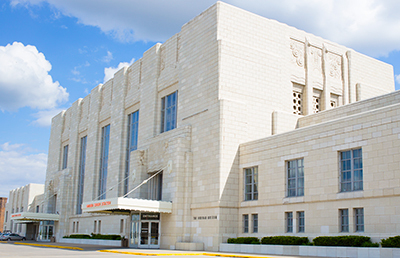 Art Deco architecture, historic grandeur and decades of memories are just a few aspects that set The Durham Museum apart. The museum offers a magnificent atmosphere featuring 65-foot ceilings, original chandeliers and beautiful restoration throughout the building. Everything is as it was when the station originally opened in the 1930's. Located at the south end of the historic Old Market, The Durham is within walking distance from downtown hotels and restaurants.